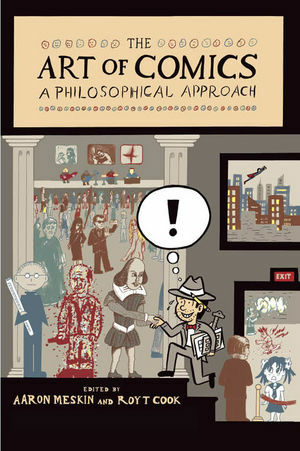 The Art of Comics is the first-ever collection of essays published in English devoted to the philosophical topics raised by comics and graphic novels. In an area of growing philosophical interest, this volume constitutes a great leap forward in the development of this fast expanding field, and makes a powerful contribution to the philosophy of art. Aaron Meskin is Senior Lecturer in Philosophy at the University of Leeds. He is the author of numerous journal articles and book chapters on aesthetics and other philosophical subjects. His work on comics has been published in The Journal of Aesthetics and Art Criticism and the British Journal of Aesthetics. He was the first aesthetics editor for the online journal Philosophy Compass, and he co-edited Aesthetics: A Comprehensive Anthology (Wiley-Blackwell, 2007). He is a former Trustee of the American Society for Aesthetics and is Treasurer of the British Society of Aesthetics. Roy T. Cook is Associate Professor of Philosophy at the University of Minnesota-Twin Cities, a Resident Fellow at the Minnesota Center for Philosophy of Science, and an Associate Fellow of the Northern Institute of Philosophy at the University of Aberdeen. He has published numerous articles and book chapters on philosophical logic, mathematical logic, philosophy of mathematics, and more recently on the aesthetics of comics. He previously edited The Arché Papers on the Mathematics of Abstraction (2007), and is the author of A Dictionary of Philosophical Logic (2009).